Louis-Joseph Papineau lived in this manoir. It is not a castle, but it is a home befitting a SEIGNEUR. Under the terms of the Treaty of Paris (1763) and the Quebec Act (1774), the Papineau family’s SEIGNEURIE, located on the Ottawa River, was left undisturbed. However, I must now investigate the economy of New France because it has come to my attention that, under the SEIGNEURIAL system, New France could not be a self-sustaining colony. On the contrary! In fact, New France was a burden on France during a bad year, such as the year 1701, made it necessary for France to bail out its colony. The above quotation, taken from Wikipedia, would suggest that the allocation of land, under the SEIGNEURIAL system was such that farming may have been hampered. In New France, SEIGNEURIES could be allotted to religious communities, to military officers and to other notables. Moreover, if a SEIGNEUR died, his widow inherited the SEIGNEURIE and we cannot take it for granted that she could manage on her own. I therefore suspect that the best arable land in the colony was not always used as farming land. Second, I also suspect that the SEIGNEURIAL system could not stand alone. Its main components were the SEIGNEUR and his CENSITAIRES. New France also had fur traders and a few merchants and, perhaps, small businesses. New France was also comprised of explorers, missionaries, priests, doctors, lawyers and religious orders. Hospitals and Schools were the responsibility of religious orders. But it didn’t make its products. Products were made elsewhere. 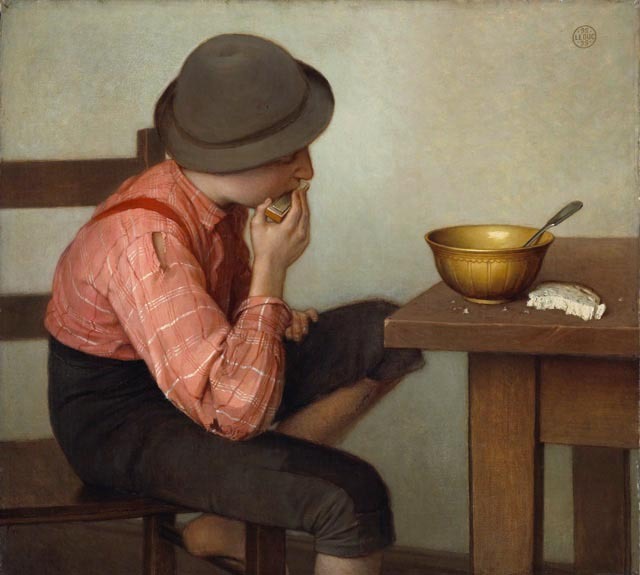 The colony could supply what raw material it could harvest, but that raw material was sent to France and returned to the colony as goods or products. As for these products, a large portion were needed in the FUR TRADE. There were no industries. Third, in 1663, the Company of One Hundred Associates, the COMPAGNIE DES CENT-ASSOCIÉS, either surrendered its charter or was eliminated. Reports differ. You will remember that the company was founded in 1628 by Richelieu who ruled New France. At any rate, the dissolution of The Company of Hundred Associates did not put an end to the SEIGNEURIAL system, established in 1627 and abolished in 1854, but Colonial authorities in France came to the conclusion that better management of New France was needed. The intendant was bound to no authorities, statutes or regulations. He was appointed by, removable by, and responsible to the king alone. [a]s early as June 16, 1703, the King of France refers to the council as the Conseil Supérieur instead of the former Conseil Souverain. Let us look again at MERCANTILISM, or the lack thereof, in New France. However, it remains that François-Xavier Garneau may have put his finger on one of the chief reasons, if not the chief reason, why the colony could not make ends meet and was therefore a burden on France? But how did the abolition of the SEIGNEURIAL system affect the SEIGNEURS? I must find out. I must thereforel pause here, but I would not be surprised if I learned that New France and its SEIGNEURS had a great deal to gain from the Treaty of Paris (1763), not to mention the Quebec Act (1774), and the Constitutional Act (1791). If indeed New France had been and remained a burden to France, it would follow, as I have suggested in an earlier post, that when New France was ceded to Britain, the French-speaking citizens of a now British-ruled colony may have avoided much more than the French Revolution. Under British Rule, the Canadiens kept not only their priests, but also their SEIGNEURS. Furthermore, the Canadiens also avoided the Napoleonic Wars. 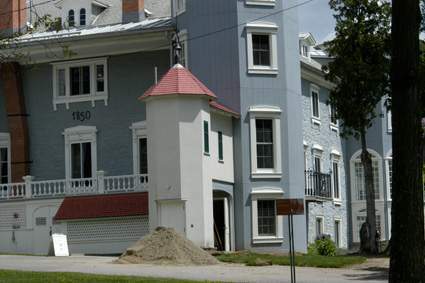 As I have said, I must investigate this matter at greater length, but my tentative conclusion to this blog is that the Treaty of Paris may have saved the French-speaking citizens of the former New France, including its SEIGNEURS, persons like Louis-Joseph Papineau who retained his family manoir pictured above. Louis-Joseph Papineau was the leader of the Rebels of 1837 and had to flee to the United States and then to France to avoid what could have been a death-sentence, but he returned to his manoir, lived the life of a gentleman and he was re-elected to Parliament. To put it in a nutshell, when New France was ceded to Britain, under the terms of the Treaty of Paris, it was not solvent and a revolution was in the works in the motherland. So, my dear readers, my mind is racing as it has seldom raced. [v] “Sovereign Council of New France,” Wikipedia, http://en.wikipedia.org/wiki/Sovereign_Council_of_New_France. [vi] “Edict of Nantes,” Wikipedia, http://en.wikipedia.org/wiki/Edict_of_Nantes. In an earlier post, I suggested that a responsible government could rectify the problems that had led to the Rebellions of 1837-38. In other words, the Parliamentary system could bring about responsible government. Le Bon Pasteur by François Baillairgé, circa 1775, guilded and painted wood sculpture. (photo by Patrick Altman/courtesy Musée du Québec and The Canadian Encyclopedia). But what of the seigneurs? Louis-Joseph Papineau was a seigneur. Would he have been guillotined? However, let us examine the Seigneurial System. We are acquainted with one seigneur: Louis-Joseph Papineau, but we know that Philippe-Joseph Aubert de Gaspé, the author of Les Anciens Canadiens, 1862, had been a seigneur. However, the Seigneurial System had been abolished, when Aubert de Gaspé published his novel, perhaps the most popular work written by a Canadien whose purpose was to prove that Lord Durham wrong in his assessment of French-speaking Canadians. They had a literature and a history, which they did not have in Lord Durham’s opinion. The Seigneurial System (Wikipedia) or Seigneurial System was abolished in 1854 by the Legislative Assembly of the Province of Canada and was assented to by Governor Lord Elgin, on 22 June 1854 in An Act for the Abolition of Feudal Rights and Duties in Lower Canada which was brought into effect on 18 December of that year. According to the Canadian Encyclopedia’s entry on the Seigneurial System, [ii] the system was established in 1627, and abolished in 1854. The seigneur, usually leased his land from a member of the Company of One Hundred Associates founded by Richelieu) and, in turn, the tenants called censitaires, but also referred to as habitants, leased his thirty acres from the seigneur on the basis of duly notarized contracts. The land therefore belonged to the King of France. montées, roads going from one rang to another. Censitaires or habitants paid rent (cens) and banalités. 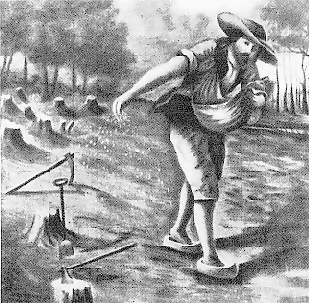 According to Wikipedia, banalités were “taxes levied on grain, which the tenant had to grind at his seigneur’s mill. 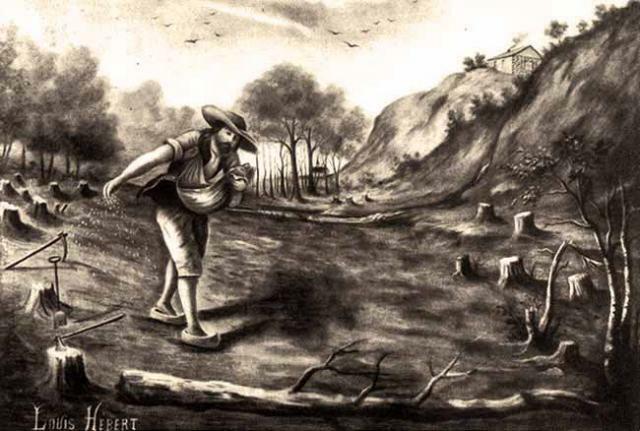 He [the seigneur] also usually granted hunting, fishing and woodcutting licences.” The seigneur used that money to run the mill, the Church, keep roads open, etc. he was under the obligation of providing a common mill. Some Canadiens settled in cities and many engaged in the fur trade. These Canadiens usually belonged to a parish, but 75-80% of Canadiens were habitants. So Canadiens belonged to 1) seigneuries or 2) parishes, and communities were usually closely knit. There were roughly 200 seigneuries and they covered virtually all the inhabited areas on both banks of the St Lawrence River between Montréal and Québec and beyond on the north side. On the south side, they extended to the Gaspé area. 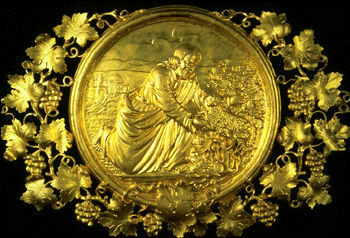 By and large, that land was arable and having sons helping on the farm was beneficial. However, to what extent can one divide up thirty acres of land? But that is another story. In short, for the time being, we have, as noted above, two leaders. They are, on the one hand, the seigneur and his censitaires, farming communities and, on the other hand, the curé, the parish priest, and his parishioners. When the seigneurial system was abolished, the habitant remained on his thirty acres, but Canadiens also lived in townships or cantons grouped into parishes. In other words, with the abolition of seigneuries, the Canadiens were grouped into parishes. The parish became the main organizational element. After the conquest of Quebec, or the Treaty of Paris (1763), the system became an obstacle to colonization by British settlers as the Quebec Act of 1774 left the Canadiens undisturbed. Under the terms of the Quebec Act, French civil law was retained and so was the seigneurial system. The seigneuries were arable land and, therefore, prime land. 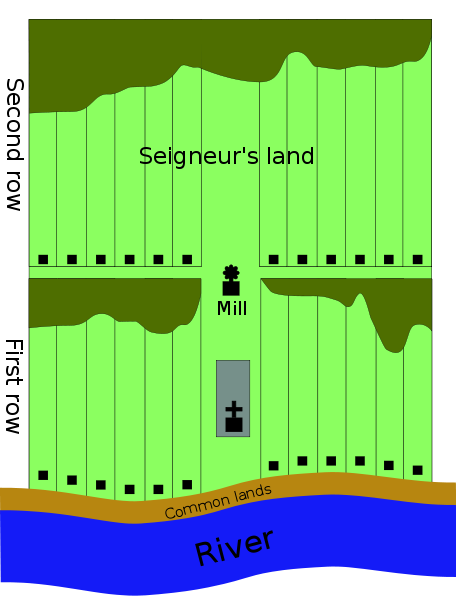 Some seigneuries were bought by English-speaking Canadians. According to Wikipedia, “[t]he system was finally abolished when the last residual rents were repurchased through a system of Quebec provincial bonds.” By the way, some seigneuries belonged to women. It could well be that the seigneurial system was abolished as it dissolved. As noted above, to what extent can land be divided? The fact is that the Canadiens ran out of land. That story is told in Ringuet’s (Philippe Panneton) Trente Arpents (1938). Some tried to make arable land of land that was not arable. Louis Hémon’s Maria Chapdelaine (1914), a French author who spent a winter in the Lac Saint-Jean area and provided a lasting account of what was called colonisation. But, this is where we must pause as a whole chapter of Canada’s history is over. Other stories begin. Much of the above information is based on the contents of my lectures on French-Canadian literature. But I wish to acknowledge that I have also used the Canadian Encyclopedia and, to a certain extent, Wikipedia. [i] René Dionne, Les Origines canadiennes (1763-1836), in Gilles Marcotte, dir. vol. 2, Anthologie de la littérature québécoise (Montréal: L’Hexagone, 1994), p. 324. Until the Act of Union, 1840-1841, the former citizens of New France were surprisingly happy with their new masters. They enjoyed the fact that they no longer had to bend their head before an intendant or a gouverneur and, although the Seigneurial system was maintained, British Rule brought a Parliament. Moreover, Canadiens could also express themselves in newspapers and their priests occupied a privileged position. The above quotation is taken from the 4 November 1809 issue of Le Canadien, a newspaper founded on 22 November 1806. Earlier in the same article, the anonymous Canadien had also praised freedom of the press, which had not been allowed the citizens of New France. Later, in the same article, our anonymous writer would praise the British Constitution. There can be doubt that the Canadiens had much to gain when Sir Guy Carleton, Lord Dorchester made them full-fledged British citizens under the Quebec Act. [III] Nothing had been taken away from Britain’s French subject and they had now gained the right to have newspapers and be members of Parliament. Under the terms of the Treaty of Paris (1763), it had been negotiated that the Canadiens were to be left undisturbed. But, ironically, the citizens of the Province de Québec (1774) and of the two Canadas, born of the Constitutional Act of 1791, had been provided with the tools that would allow them to regain what they lost when the Act of Union was signed into law: Parliament, as the word suggests. The events of 1837-1838 and the ensuing decision to unite the two Canadas and to prohibit the use of French were regrettable. However, once order was restored, the new United Province of Canada was again enjoying the benefits of the British Constitution. When first appointed Joint Prime Minister of the United Province of Canada, in 1842, Louis-Hippolyte Lafontaine, or LaFontaine, was not heading a responsible government, which would cause him to resign, but the United Province of Canada had a Canadien voice and it so happened that this Canadien, Louis-Hippolyte Lafontaine, spoke English. You may recall that Lafontaine had travelled to Britain in an effort to avert a call to arms in 1837. Louis-Hippolyte Lafontaine was married first to Lynzee Rickard (1813–1859) who became his wife on 9 July 1831. When Lynzee died (in 1859), Louis-Hippolyte married the widowed Jane Élisabeth Geneviève Morrison (1822-1905) daughter of Charles Morrison. They were married on 30 January 1861 and lived on rue Saint-Denis in Montreal. It was a bilingual household. As joint Prime Minister of the United Province of Canada, Louis-Hippolyte first addressed the assembly in French and then he and his political partner Robert Baldwin set about returning to Canadiens the right to speak their own language. In fact, assimilation would have been difficult due to the land tenure system, the seigneurial system. As for those Canadiens who were not farmers they gathered around a priest, in a parish. That was what I like to call the “parochial” system. So let me close this blog on an optimistic note. In the 1840s, we have fine men in Parliament and their goal, responsible government, had been attained between 1842 and 1848, when Baldwin and Lafontaine became Joint Prime Ministers. In my next post, we will examine the Seigneurial System which was not abolished until 1854. In fact, Louis-Joseph Papineau was a seigneur and, from 1774 (the Quebec Act) until 1854, French-speaking Canadians had both seigneuries and a Parliament. [II] Op. Cit., p. 331. It restored the use of the French civil law for private matters while maintaining the use of the English common law for public administration, including criminal prosecution.